We provide FSA plan design, implementation and administration custom designed to meet each employer’s needs, including administration with general purpose and limited purpose medical and dependent care reimbursements. Employers and participants benefit from tax savings, while enjoying a high level of service, debit card access and daily online access. 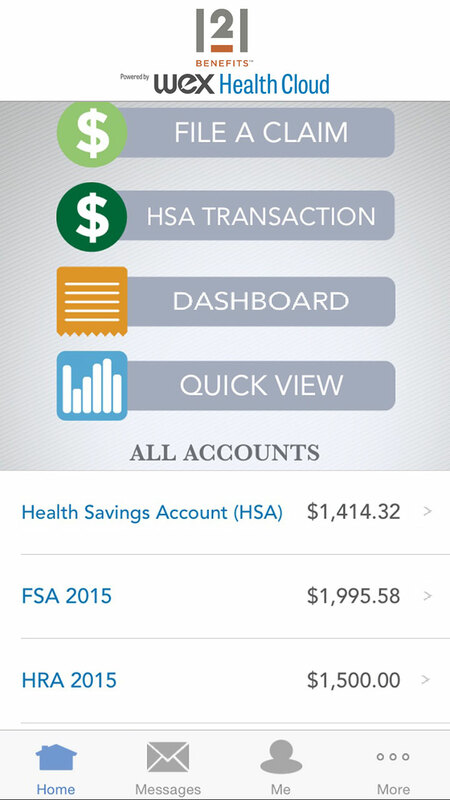 HSAs have specific health plan requirements and various funding choices. Our HSA solution through HealthCare Bank offers state-of-the-art efficient debit card and online services to support contributions, investment management and distributions. HRAs vary widely in plan design and objectives. Our experience allows us to help with communication of plan design that educates participants in how best to use this benefit. We can also integrate HRAs with Voluntary Employees’ Beneficiary Associations (VEBAs). Our comprehensive COBRA/Continuation, Retiree and Leave of Absence Billing process validates that all activities and correspondence are in compliance with changing regulations, relieving employers of these time-consuming tasks. Transit and parking expenses, including van/carpool, may be funded with pre-tax dollars by participants when established as a plan by the employer. Wellness benefit accounts support wellness initiatives and encourage your staff to maintain an active, healthy lifestyle. We offer and can accommodate both pre and post-tax wellness solutions. Post tax benefits can be used to promote a variety of wellness activities, ranging from health club/gym memberships, group exercise classes, home exercise equipment, personal training and weight loss programs. Pre-tax benefits can include contributions to health savings accounts and health reimbursement arrangements. Contact us to learn more. Also known as Cafeteria Plans (IRS Code 125) or Health Reimbursement Arrangements (IRS Code 105) (HRAs), this plan type allows employers to budget for health care expenses by providing employees or retirees with a fixed amount of money they can spend on individual or group insurance premiums; medical, dental or vision expenses; and dependent care expenses. We can help you design an affordable, flexible plan to meet your needs, educate your employees about the plan and administer it with state-of-the-art tools and systems. An insurance exchange can be integrated with your Defined Contribution Plan to provide the online convenience of insurance selection with licensed insurance agent support. For our clients, we provide ACA reporting services, including preparation and filing of 1094-B, 1094-C, 1095-B and 1095-C forms. Contact us to learn more about any of these and other services. Looking for detailed insight on what 121 Benefits can do for you? Simply Request a Proposal.